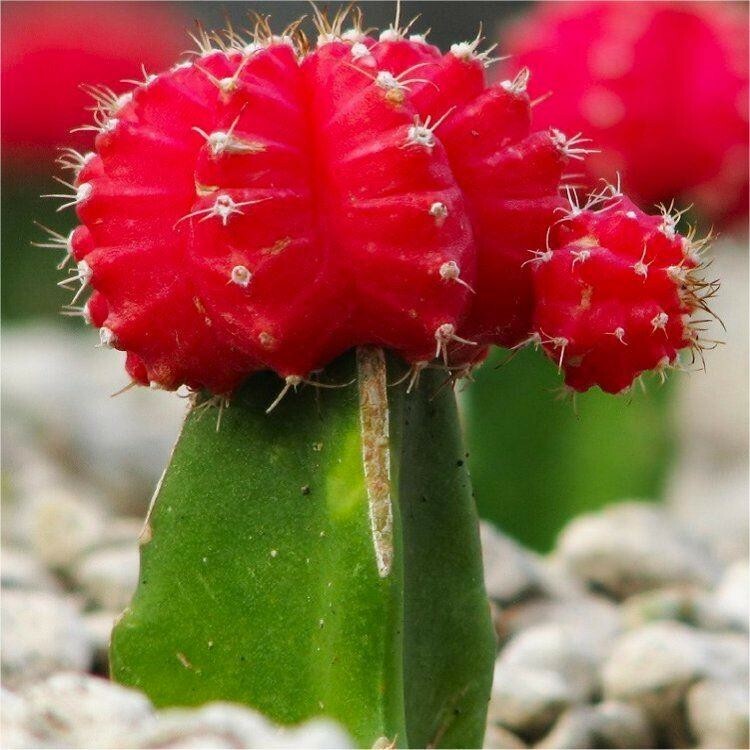 Colourful all year round, this Ruby Ball cactus plant is rather curious with a main green stem, topped off with a brightly coloured cap, sometime called a lollypop cactus as a result. The cap will increase in size and grow over time, whilst the green stem will remain the same size. This very unusual and decorative easy care plant for the home would look stunning virtually anywhere. It's a trendy plant that will be loved by young or old alike. It would look superb in a decorative pot on a coffee table in the conservatory or on a windowsill in any bright room. Water sparingly when the compost dries out.... if you forget, don't worry, this is one plant that will survive!! An occaional liquid feed in summer may even result in the production of some pink-white flowers and improve the colour! 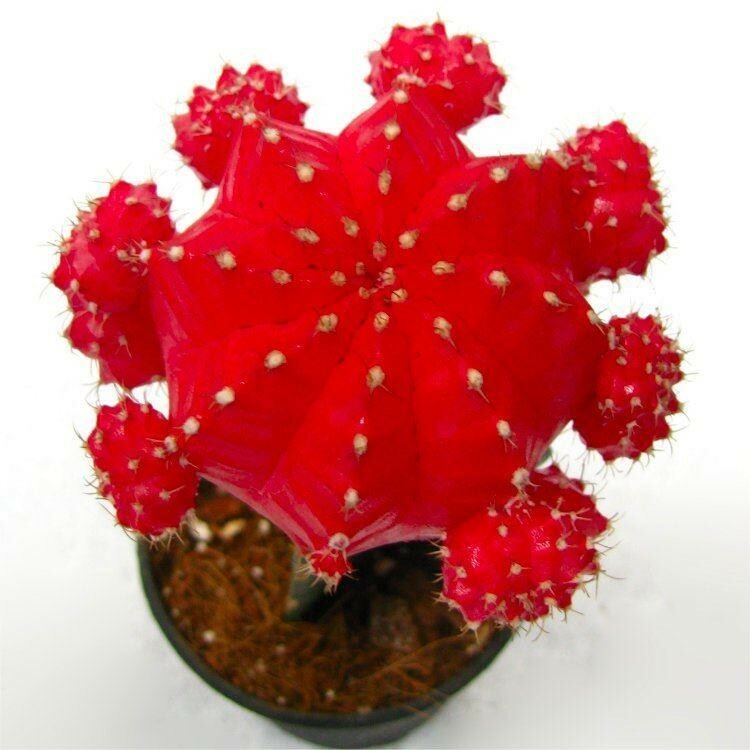 Supplied complete with an attractive red pot to compliment the plant and protect any surfaces from damage where ever you may choose to place it.